When you have kids, you probably feel pressured to focus on them every second on the day. However, when your house and other parts of your life begin to suffer, you are not really setting the best example for your children. Instead of allowing the house to transmute into a prodigious mess, get organized and enlist the help of your family. The hardest part about cleaning the house is often the first step. Take a look around you to see what you can do right now; you don't necessarily need to begin a huge project. Instead, put the old mail in a bin, wash the dishes in the sink or put away the toys lying in the den room. Reminding yourself of how easy some tasks are can motivate you to tackle the more overwhelming projects. You may feel as though cleaning is impossible because of your kids. They make a mess as soon as you clean a room, or you're constantly watching to ensure that they do not hurt themselves. A playpen or a play yard can help to resolve this issue. 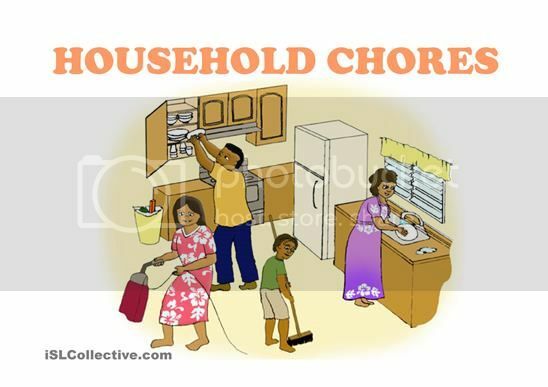 They can busy themselves in this space while you take care of the housework. This tip also helps kids to learn how to play by themselves, which frees up more time for you to clean. Constantly trying to fit cleanly in amidst appointments, play-dates, meals and other obligations is stressful. Set aside time each day or week to specifically focus on cleaning. Make this period of the day a quiet play period for your children. If your kids still take naps, use those moments to address the housework. Leaving a few toys out of their bins is not as big of a problem as letting mold grow in the basement or not cleaning the stains out of the carpet immediately. Recognize that your house might not be perfect, but you can make it a clean and healthy environment by choosing to focus on the most important household tasks. You probably wonder how cleaning could ever feel like relaxing. As you are wiping down the kitchen or sweeping up the living room, turn on your favorite music or television show and sip a glass of wine. You may eventually begin to appreciate these moments that you have to yourself. The less messy your house is, the less you have to clean. While trying out a new recipe that requires many tools and ingredients sounds tempting, save it for the weekend when your partner is home to help with the cleaning. Teach your children to put their belongings away as soon as they are finished with them. Showing your kids how to clean their own messes means that you have more people to help out. Whether you work or stay at home with the kids all day, you should not be the only person in the house responsible for cleaning. Speak with your partner about how you can better divide up responsibilities. Also, determine which chores your kids will tackle. Even young children can help with tasks as simple as dusting a table or putting their clothes in the hamper. You may want to start offering rewards when chores are completed a certain number of times per week. Staying on top of the housework might seem frustrating right now. However, when you start to get into a routine, you will likely find that a clean and tidy house actually begins to eliminate some of your stress. Guest posting made possible by Maids by Trade, offering cleaning services in Tucson and the surrounding area such as Marana maid services and Catalina Foothills maid services.